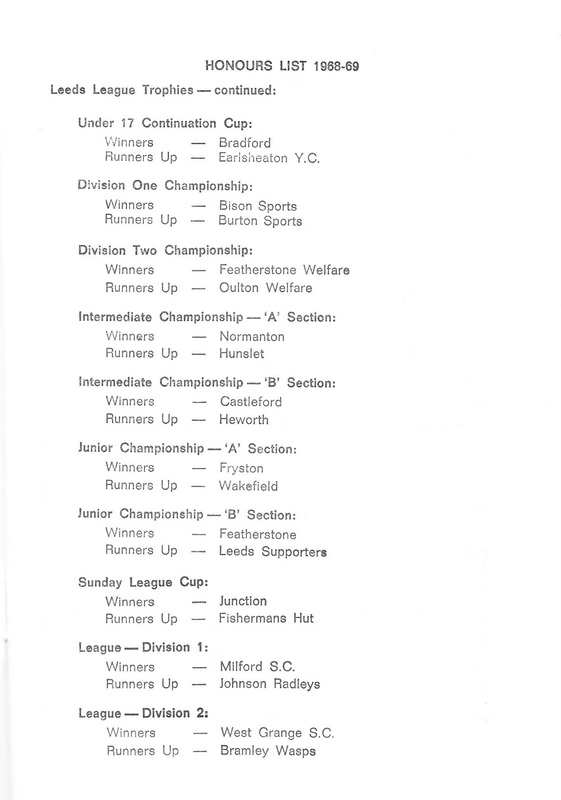 This is the final article about the Leeds and District Rugby League in 1968/69. 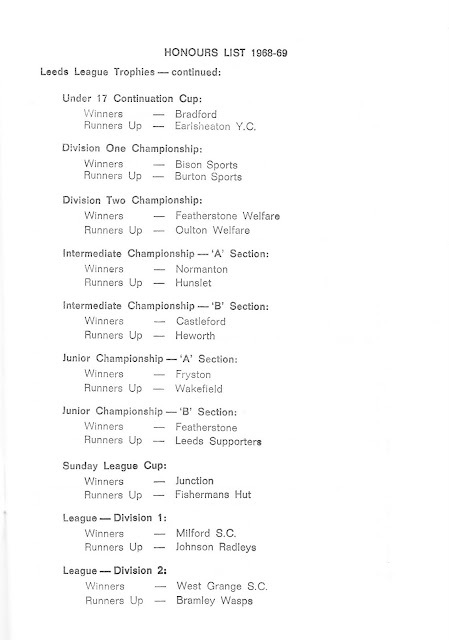 The honours lists below indicate the geographical area covered by the League in the 1960s. Two interesting names feature in the list of players awarded County Badges. Graham Idle, who played for New Markets as a junior, had long career in the professional game. He began his career with Bramley and also played for Wakefield Trinity and Bradford Northern. 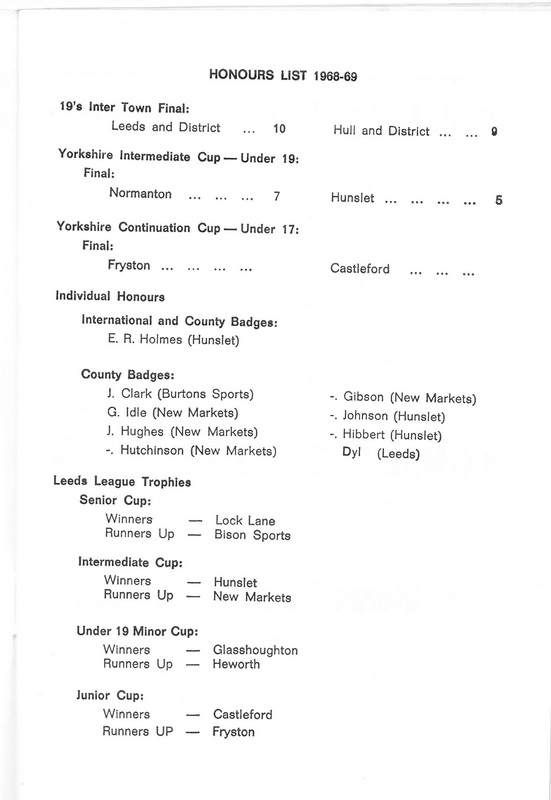 Les Dyl, who signed for Leeds Rugby League Club, was a 'one club man' who during his sixteen year professional career also made twenty five international appearances and toured Australia three times with Great Britain.
? What do you think about it? Your opinion is very important for me.